Peggy Louise Brown, 67, passed away Monday, September 24, 2018 in Chattanooga. She was a 1972 Graduate of Howard High School. She leaves to cherish her memories her daughters, Alisa Bruell of Chattanooga, Kimberly Bruell of Lexington, KY; four granddaughters; sister, Mary Helen Brown; niece, Tip Wells, and a host of other relatives and friends. No public services are planned. 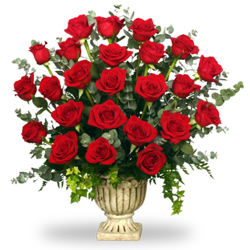 Arrangements by John P. Franklin Funeral Home, 1101 Dodds Avenue, 423-622-9995. To the family, I am so sorry for the loss of your loved one. During this sad time, please know that our Heavenly Father assures us of his loving support in times of grief, and he promises to end the pain of death by means of his kingdom (Psalm 34:18, Daniel 2:44, and Revelation 21:3,4). In the days to come, may these verses encourage your family. Take care. We will miss you cousin Peggy. Rest in Peace Peggy. Your family. We love you. Your cousins: Mary, Linda, Jerry and Cynthia.